Staples Wood Tone Putty Pencils offer the easiest way yet to fill countersunk nail holes, joints, etc., and to repair gouges and scratches in interior woodwork and furniture. 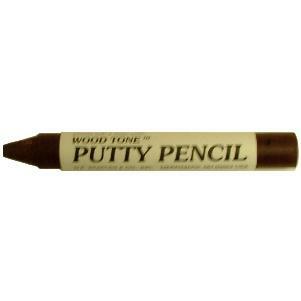 Use Putty Pencils to match the color of the wood or stain - the colors have been formulated to complement the most popular colors from top stain manufacturers. 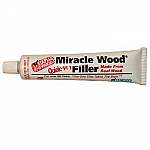 By simply rubbing over a nail hole, joint or scratch, the Putty Pencil fills the repair with colorant and stays put. Wipe away excess with a cloth, and the job is complete. It's that quick and easy. 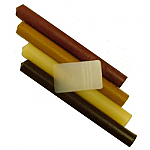 In addition to woodwork, you can use Putty Pencils to repair leather (like scuffed shoes or belts) and vinyl. They can also be used creatively for any number of crafts projects. Package contains one putty pencil. Item ships same or next business day. Hardware Tip: Putty Pencils are the quickest way to fill countersunk nail holes in a room full of cabinets, window frames, and moulding.